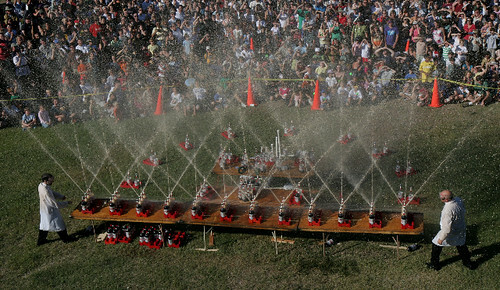 This weekend, at the San Mateo County Event Center, it’s Maker Faire 2010, the world’s largest DIY festival. A brilliant idea from the publishers of Make: — one of the very few successful new media properties in the new millennium. Just check out this preview for what to expect. 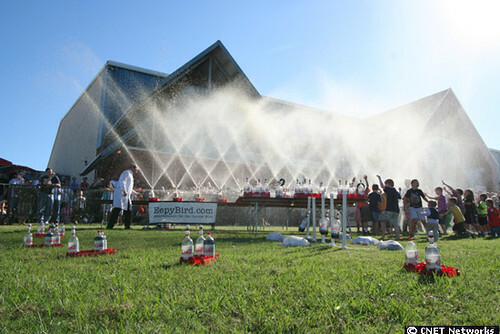 The big fun event ought to be the EepyBird.com guys, originators of the Diet Coke/Mentos phenomenon a few years back. Can’t make it out to California? Maker Faire is coming to Michigan (Detroit and Ann Arbor) and New York. This entry was posted on Friday, May 21st, 2010 at 6:39 am	and is filed under Front Page. You can follow any responses to this entry through the RSS 2.0 feed. You can leave a response, or trackback from your own site.